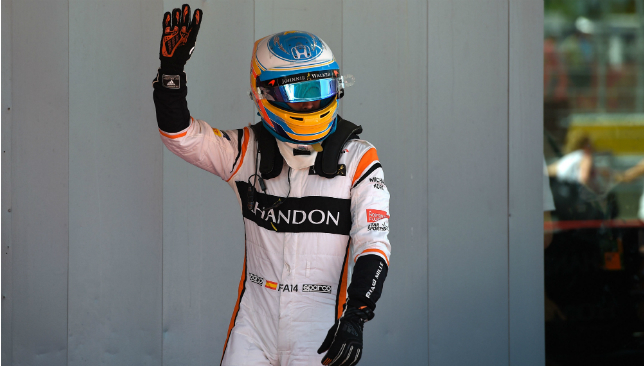 Fernando Alonso will bring the curtain down on an illustrious career in F1 in Abu Dhabi. One may forgive Fernando Alonso for harbouring feelings of deep regret at the ultimately fruitless decision to rejoin McLaren in 2015. It has been one that’s seen the Spanish two-time world champion end his twilight Formula One years amid mediocrity at the back of the grid. After the 2005 and 2006 double was done with Renault, Alonso failed to rekindle his championship magic with a dream move to Ferrari in 2010. Then, four years ago, he rolled the dice again and returned to McLaren. But repeated failings with its new Honda engine has left a legend of the sport spending his final four seasons collecting rust as one-time former McLaren team-mate Lewis Hamilton has accumulated four championships following his own bold move to Mercedes. The 2018 Etihad Airways Abu Dhabi Grand Prix will bring the curtain down on an illustrious 17-year career in the sport. It is one that has yielded those two titles – Alonso is the joint-fifth most successful driver to have entered a cockpit – as well as numerous other impressive feats. Sunday’s Abu Dhabi finale will be Alonso’s 314th race (second only to Rubens Barrichello’s 326), he has the sixth most podiums (97) and is also sixth for total wins (32). So even though the last four years are not how the 37-year-old would have wanted to sign off, regret is not a word he is thinking about on the climatic weekend of his F1 career. “I don’t regret many things. I’m happy with the decisions,” said the veteran Spaniard, who starts from 15th on Sunday. “There are always things that either go your way or they go someone else’s direction. In my career I feel extremely proud to have driven for Renault, McLaren and Ferrari. They are three teams that I spent 17 years of my career with. He may be headed for 10th place in the drivers’ standings (Alonso’s placings at McLaren read two 10ths, one 15th and one 17th), but Alonso believes no-one except world champion Hamilton can be satisfied with their 2018 season. “In F1 there is always one winner and the all the others are not winning. Only one is happy here and that’s Lewis Hamilton this year,” added the man from Oviedo, speaking after qualifying at the McLaren villa in the shadow of Yas Marina Circuit on Saturday evening. “To finish second, seventh, 12th, it’s the same. I won two championships, 97 podiums. I have here mates with a lot of talent you know, like Niko Hulkenburg, zero podiums. Sebastian (Vettel) a lot of years now not winning. (Max) Verstappen, great talent, zero titles. (Daniel) Ricciardo, a great talent, zero titles. And despite the failings of McLaren with Japanese giants Honda as engine partners, Alonso again said he does not look back with dread on his decision to jump ship from Ferrari in 2015. “I’ve been unlucky in some of the places I’ve raced but without a crystal ball it is difficult to make decisions,” added Alonso. “After you finished your chapter it’s easy to say, but when I joined Ferrari in 2010 10/10 was my decision to join Ferrari. It was my home team. When I joined McLaren-Honda in 2015, all the previous year I was hearing it was a very good decision. 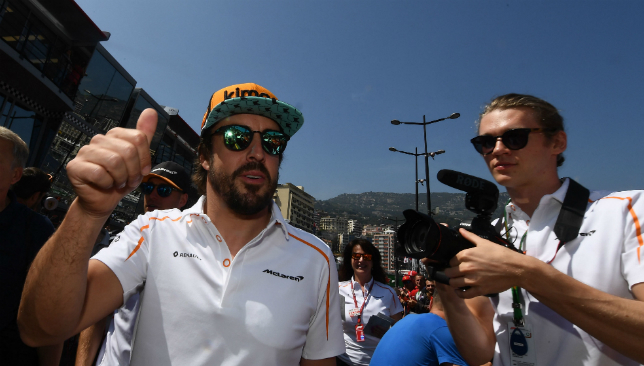 Fernando Alonso is set to start his 300th grand prix this weekend. 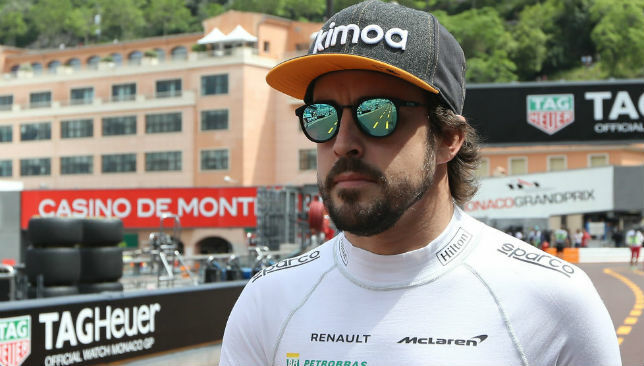 Fernando Alonso has cast major doubt over his Formula One future by publicly refusing to commit to the sport beyond this season. Alonso is preparing for his home race here at Barcelona’s Circuit de Catalunya off the back of his debut victory at last week’s World Endurance Championship race at Spa-Francorchamps, Belgium. But the 36-year-old Spaniard’s days of winning in F1 appear further away than ever before as McLaren’s troubles extend into another season. Alonso, who last took to the top step of a Formula One podium at this race back in 2013, may be sixth in the standings after accumulating 28 points from the opening four rounds, but that tally says more about his racecraft rather than the speed of his McLaren. The British team, having terminated their engine relationship with Honda at the end of last season, had expected to challenge at the sharp end of the grid this year. But the move to Renault power has provided little joy with Alonso failing to qualify inside the top 10 at any of the four rounds so far. It has been more than four years since a McLaren car last occupied the top three places, and Alonso, on the eve of what could be his final home race, hinted his future could lie away from F1. 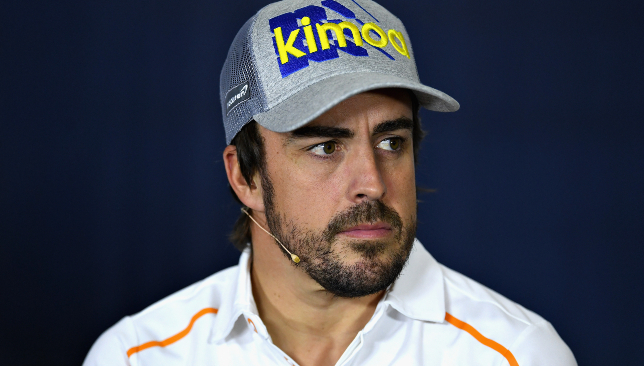 “The biggest thing here is how predictable everything is,” said Alonso, who is dovetailing his F1 commitments with six World Endurance Championship events, including next month’s prestigious Le Mans 24 Hours race. “We can put on paper now what would be the qualifying result here on Saturday, what it would be in Monaco, and what it would be in Silverstone. This is sad for Formula One. So that’s something you need to take into account for future decisions. Alonso could leave McLaren at the end of the year but would give up his pay packet, estimated to be upwards of £20million. McLaren have brought a series of updates with them to Barcelona in the hope of improved performance, but they will not be alone with the opening leg of the European season kickstarting the development race. “Normally Spain brings a lot of updates for all the teams so hopefully we can benefit a little bit from that,” Alonso added.